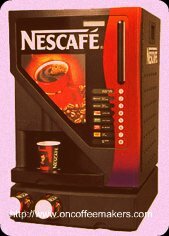 Commercial coffee makers used to be synonymous with a large cumbersome vending machine that was located in a passage or hallway and took up a lot of room. No more. Times have changed and technology with it. Nowadays the designs are compact and aesthetically pleasing and will basically fir in anywhere. The Nescafe Lioness is a good example of such a concept. 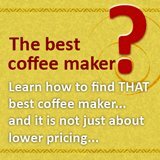 This commercial coffee maker is lightweight in comparison to its predecessors and will fit on any table or counter top. It is less than half a meter deep, wide and tall. That is a compact machine that is able to provide a choice of up to eight hot beverages; black coffee, white coffee, cappuccino, espresso, mochaccino, chocolate, chocomilk and hot water. Not bad for commercial coffee makers of that size. These selections are extended if you take the model with the five canisters as opposed to the model with the three canisters. The five canisters will contain instant coffee, chocolate, tea, milk and sugar. This means that this automatic coffee machine can deliver the goods in demand. 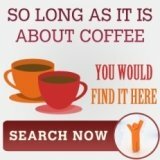 The coffee supplies are easily refilled and essentially you will get as close to French press quality coffee as a commercial coffee maker can deliver. Although all the coffee need to be purchased through Nestle. So, the choice of coffee for the machine is only limited by whatever Nestle can offer. 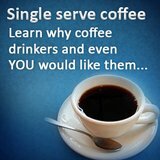 That means you can forget about using other coffee, i.e. Illy coffee, Coffee Krups, that should be this machine only drawback. The Nescafe Lioness is not necessarily able to compete with the espresso that is made in Gaggia coffee machines for example. It would probably not tasted as fresh compared to a Grind and Brew option. It was, however, never designed with that in mind. This commercial coffee cappuccino maker can be operated with or without a coin mechanism. 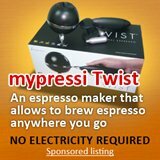 It is designed for work either as a courtesy coffee maker or can be used to generate revenue. The advantage of the latter is that the machine can recover some of the costs incurred through its purchase. If it is to be used as a courtesy hot beverage a machine for guests and or clients it might not be advisable to add the coin mechanism. The machine will dispense a hot beverage every twenty to thirty seconds and can be fitted with a water tank or be connected to a water supply. The former option makes the Nescafe Lioness far more portable and flexible. Some supplier will even offer a similarly Nescafe branded cabinet for the Lioness to stand on at a comfortable height and to make it look even better.